PRESS RELEASE: Tallahassee FL, 31-AUGUST-2015 – Fiorini Chiropractic Center and Dr. Dennis Fiorini and Dr. Atkinson, DC., are pleased to announce that they provide pain relief for area patients. When back or shoulder pain is the problem, the chiropractic techniques are able to relieve the pain without the need for surgical methods or drugs as painkillers. The Tallahassee Florida chiropractor team has expertise in non-invasive therapeutic measures. The first step which the doctors will take is to determine the location of the cause of the pain. 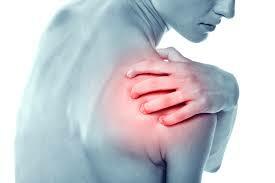 Pain which is felt in the back or shoulder may be due to injuries or problems in other areas. The physical examination identifies the area and severity of the pain. The information collected by the doctors is the starting point to create a care plan. The elements in a chiropractic regimen include spinal adjustments, as well as soft tissue therapy to improve circulation and enhance the body’s ability to rebuild itself at the cellular level. Massage therapy and electro-therapy will be effective in improving the cellular activity. Improved nutrition is another component of chiropractic care methods. Each patient is evaluated individually so that the care which is given is targeted to the problems experienced by the patient. Over the longer term, the doctors will encourage patients to improve their nutrition and posture. More exercise may be utilized to strengthen muscles. Stress reduction techniques are another part of the care plan for some patients. In addition to pain relief, the doctors provide suggestions which will improve the quality of life. Learn more about relief for shoulder and back pain by visiting the web pages at http://www.fiorinichiropractic.com today. Members of the press and individuals who have questions about the contents of this press release are invited to contact Dr. Fiorini and Dr. Atkinson DC at the location which follows. Summary: Fiorini Chiropractic Center provides techniques which relieve pain and improve overall wellness and health. The methods are safe and non-invasive.